Silicon Valley resident Yasir Afifi recently discovered an FBI tracking device on his car when he took it for an oil change. 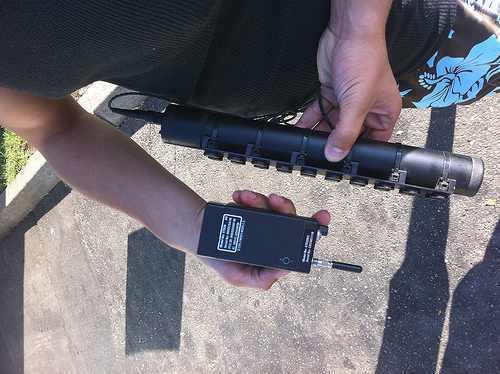 Alarmed and curious about what it might be, Yasir posted photos of the device online, asking members of reddit whether it was a bomb, or possibly an FBI tracking device. In a short amount of time Yasir learned that it was in fact a GPS tracking device, and it was made by a company that only sells to government agencies. Days later he was able to learn the direct source of the tracking device, when he was visited by a large group of FBI agents who had seen his posts online, and wanted their device back. The agents refused to answer any of his questions and told him that if he refused to cooperate with them that they were going to make this situation as difficult as possible for him. “It seems very frightening that the FBI have placed a surveillance-tracking device on the car of a 20-year-old American citizen who has done nothing more than being half-Egyptian,” Alseth told Wired.com. Afifi had never given any signs that he was going to be uncooperative, but he just had a lot of questions about what was going on. He did end up handing over the device willingly and said that he has no involvement in anything dangerous or illegal and that there is no reason for him to be under investigation. Based on discussions that were had when the agents were at his house, Afifi got the impression that he had been under FBI surveillance for three to six months.